The official version of the D.C. Code, commemorating the 40th year of Home Rule. LexisNexis is pleased to offer the all-new District of Columbia Official Code, a complete set of integrated volumes now published under contract with the District of Columbia and commemorating 40 years of Home Rule. 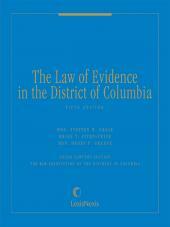 This is the only version of the District of Columbia Code that is reviewed and approved by the government of the District of Columbia, meaning that this is the definitive, authoritative Code you know you can trust. In addition to the blackletter law, our expert legal-editorial team has included numerous research features designed with the practitioner in mind. Copious case annotations, Shepardized for accuracy and continued relevance, help you research with confidence. Other features include section references, effect of legislation notes, editor's notes, and a comprehensive index that helps you find what you need quickly. Historical citations and corresponding amendment notes provide guidance on legislative currency, and print updates three times each year keep the Official Code fully up to date. The LexisNexis District of Columbia Advance Legislative Service, containing the latest session laws as they are passed and convenient tables showing you which Code sections are affected, can be used alongside the District of Columbia Official Code for nearly up-to-the-minute research. 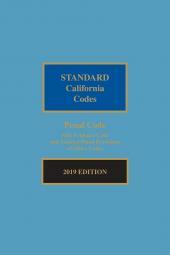 The Official Code is also available on Lexis Advance, bringing you the latest in electronic legal research.